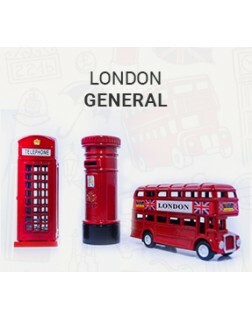 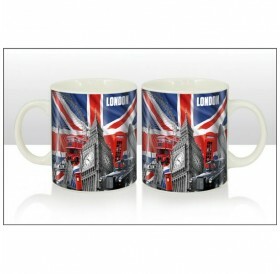 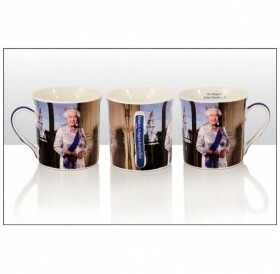 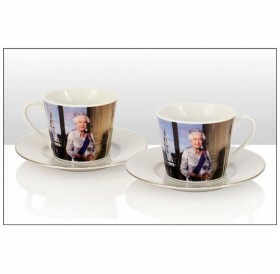 The attractive and vibrant Capital London design collection is exclusive to Elgate Products. 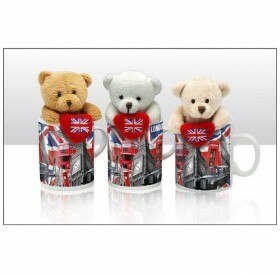 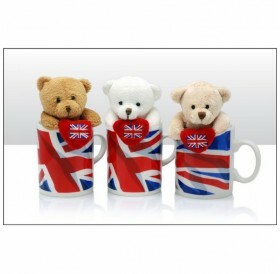 With the iconic Union Jack flag as a background, images of London and Big Ben are displayed on these cute miniature soft toy bears holding red hearts with the Union Jack design sitting in small ceram.. 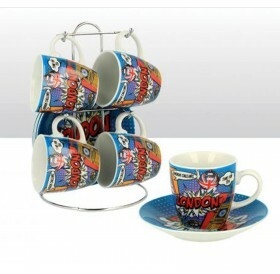 Attractive Cup And Saucer Set Will Be A Memorable Souvenir Gift For The Traditional Coffee Lovers.The Set Includes Four Cup And Four Saucers With Stand (9 Piece) .This Set Is Dishwasher Safe & Microwave Safe..